It is not uncommon to hear people say that Hugh Nibley and John Sorenson were not real, respectable scholars. That, supposedly, no one outside of Mormons have even heard of them or read their scholarship. It is certainly true neither one looms as largely in broader academia as they do in Mormon intellectual circles. Neither of them is like a Richard Bushman in their respective fields. But it is an exaggeration to say that they were irrelevant and unrespectable in their disciplines. A brief gander at the non-Mormon who’s who of contributors to the 2-volume festschrift for Hugh Nibley, and magnanimous praise they heap upon him, ought to be more than enough to dispel such myths. Sorenson’s festschrift also has non-LDS contributors, and the leading Mayanist of his generation—Michael Coe—refused to engage him at conferences because he was “too formidable.” Coe has also heaped praise on Sorenson in—of all places—a Mormon Stories interview, where he says that Sorenson is a friend, and declares him the leading researcher on paradigm shifting research on pre-Columbian transoceanic contact, which Coe admits he finds persuasive. Few people who have been exclusively introduced to Nibley or Sorenson within a Mormon context—and particularly those that are introduced to their work as a response to expressed doubts, are aware of their work outside of that context. They seem to think that because they have only heard of them in an LDS context, that must be the only place they are seen as serious scholars. Part of this is also a generational issue—Nibley and Sorenson were active in their fields in the 1950s, ’60s, ’70s, and ’80s, and most now learning about them and being introduced to their LDS work—where, I again admit, they have had more of a longer lasting influence—were born on the tail end of that era. So to help put their careers in perspective for people from my generation, I list here a non-comprehensive bibliography of the works by Hugh Nibley and John Sorenson in non-LDS venues. These were selected by me based, to some degree, on the relevance to their LDS work. Nibley, Hugh, “The Arrow, the Hunter, and the State,” Western Political Quarterly 2/3 (1949): 328–344. Nibley, Hugh, review of The Ancient World, by Joseph W. Swain, The Historian 13/1 (Spring 1951): 76–81. Nibley, Hugh, “The Hierocentric State,” Western Political Quarterly 4/2 (1951): 226–253. Nibley, Hugh, review of History of Syria: Including Lebanon and Palestine, by Philip K. Hitti, Western Political Quarterly 5/2 (June 1952): 312–313. Nibley, Hugh, review of Near Eastern Culture and Society: A Symposium on the Meeting of East and West, ed. T. Cuyler Young, Western Political Quarterly 5/2 (June 1952): 315–316. Nibley, Hugh, “The Unsolved Loyalty Problem: Our Western Heritage,” Western Political Quarterly 6/4 (1953): 631–657. Nibley, Hugh, “Die Tempelidee in der Geschichte,” Der Stern 85/2 (February 1959): 43–60. Nibley, Hugh, “Christian Envy of the Temple,” part 1, Jewish Quarterly Review 50/2 (October 1959): 97–123. Nibley, Hugh, “Christian Envy of the Temple,” part 2, Jewish Quarterly Review 50/3 (January 1960): 229–240. Nibley, Hugh, “The Passing of the Church: Forty Variations on an Unpopular Theme,” Church History: Studies in Christianity and Culture 30/2 (June 1961): 131–154. Nibley, Hugh, “Paul and Moroni,” Christianity Today 5/5 (May 22, 1961): 727. Nibley, Hugh, “Qumran and the Companions of the Cave,” Revue de Qumran 5/2 (1965): 177–198. Nibley, Hugh, “Evangelium Quadraginta Dierum,” Vigiliae Christianae 20/1 (1966): 1–24. Nibley, Hugh, “Tenting, Toll, and Taxing,” Western Political Quarterly 19/4 (December 1966): 599–630. Nibley, Hugh, “Jerusalem: In Christianity,” in Encyclopedia Judaica, 16 vols. (New York: Macmillan/Jerusalem: Keter, 1972) 9: 1568–1575. Nibley, Hugh, “The Book of Enoch as a Theoicy,” paper presented at the regional meeting of the Society for Biblical Literature in Denver, Colo., 1974. Nibley, Hugh, “Acclamatio (Never Cry Mob),” in Toward a Humanistic Science of Politics: Essays in Honor of Francis Dunham Wormuth, ed. Dalmas H. Nelson and Richard L. Sklar (Lanham, Maryland: University Press of America, 1983), 11–22. Sorenson, John L., “Preclassic Metal?” American Antiquity 20 (July 1954): 64. Sorenson, John L., A Chronological Ordering of the Mesoamerican Pre-Classic, Middle American Research Records, vol. 2, no. 3 (New Orleans: Tulane University, 1955). Sorenson, John L., “Some Mesoamerican Traditions of Immigration by Sea,” El México Antigo 8 (1955): 425–439. Sorenson, John L., “Pre-Hispanic Culture History of Central Chiapas,” paper presented at the annual meeting of the American Anthropological Association, Santa Monica, Calif., December 1956. Sorenson, John L., “A Bibliography for Yucatán Medicinal Plant Studies, by William E. Gates,” Tlalocán 3 (1957): 334–335. Sorenson, John L. “Some Uses of Theory in Archaeology,” paper presented at the annual meetings of the Society for American Archaeology, Boulder, Colo., spring 1963. Sorenson, John L., “Use of Automated Tools in Archaeology,” American Antiquity 30 (October 1964): 205–206. Sorenson, John L., “A Collection of References to Trans-Oceanic Contacts with the Americas before the Recognized Discoveries,” part 1, New England Antiquities Research Association Newsletter 67 (1971): 78–80. Sorenson, John L., “The Significance of an Apparent Relationship between the Ancient Near East and Mesoamerica,” in Man Across the Sea: Problems of Pre-Columbian Contacts, ed. Carroll Riley et al. (Austin: University of Texas Press, 1971), 219–240. Originally presented as a paper at the annual meetings of the Society for American Archaeology, Santa Fe, New Mexico, spring 1968. Sorenson, John L., “A Collection of References to Trans-Oceanic Contacts with the Americas before the Recognized Discoveries,” part 2, New England Antiquities Research Association Newsletter 68 (1972): 38–40. Sorenson, John L., “A Reconsideration of Early Metal in Mesoamerica,” Katunob 9 (March 1976): 1–8; reprinted in Metallurgy in Ancient Mexico (Greeley, Colo.: University of Northern Colorado, Museum of Anthropology, 1982). Sorenson, John L., “Mesoamerican C–14 Dates Revised,” Katunob 9 (February 1977): 56–71. Sorenson, John L., “A Mesoamerican Chronology: April 1977,” Katunob 9 (February 1977): 41–55. Sorenson, John L., and Martin Raish, Pre-Columbian Contact with the Americas across the Ocean: An Annotated Bibliography, 2. Vols., (Provo, Utah: Research Press, 1990; 2nd edition, 1996). Included here because it is not directed to an LDS audience, and has been praised by non-LDS scholars. Sorenson, John L., “Commentary,” in American Epigraphy at the Crossroads, ed. James P. Whittall Jr. (Rowely, Mass. : Early Sites Research Society, 1991), 109–112. Sorenson, John L., and Carl L. Johannessen, “Biological Evidence for Pre-Columbian Transoceanic Voyages,” in Contact and Exchange in the Ancient World, Victor H. Mair, ed. (Honolulu, Hawai‘i: University of Hawai‘i, 2006), 238–297. Sorenson, John L., “A Complex of Ritual and Ideology Shared by Mesoamerica and the Ancient Near East,” Sino-Platonic Papers, no. 195 (Philadelphia: University of Pennsylvania, Department of East Asian Languages, 2009). If these lists were longer than you expected them to be (or if you scoffed at their brevity), just remember that this was non-comprehensive. There is a lot more that could be added to both of them. Since I inevitably get accused of making an argument from authority every time I do something like this, I will preempt such nonsense now (though, I must confess, such preemptive measures have never stopped anyone in the past). 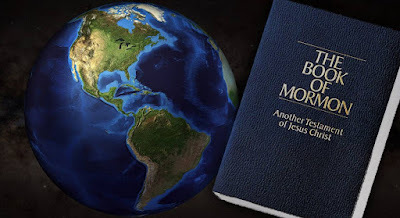 This not an effort to “prove” Hugh Nibley and John Sorenson are right about what they have said about the Book of Mormon, or any other topic. I do hope it illustrates the need to take them seriously. This primarily meant to illustrate that they are credible in the eyes of their peers, and it should be remembered that it comes as a response (albeit, generically) to attacks on their credibility. Such attacks on their credibility have little merit. And LDS scholars who continue to carry the torch—in both the ancient Near East and Mesoamerica—have likewise established themselves in their respective fields. May the myth of non-respectability be put to rest at last, I can only hope. I think that as Mormons, some of us like to venerate these men as "proving" the Gospel since they have these degrees and still believe... That they put their faith and testimony in these "scholars" instead of relying on the spirit. I also see someone on Patheos didn't think much of their work... He didn't think anything should be addressed unless it was peer reviewed. And we have all seen recently just how much quality peer-review adds to papers. Re: Lancet editor. The problem is that non-Mormon scholars cannot give even a millimeter to Joseph Smith. One may demonstrate extraordinary brilliance across multiple scholarly disciplines, but giving testimony of Joseph buys you an immediate non-refundable one-way ticket to the far side. I don't understand how a long list of published works show credibility in the eyes of peers. For that I would love to see how often they or their work was quoted in other published works. Or mentions by other respected scientists in their respective fields. I don't think it's particularly hard to have papers published. Especially on non-controversial subjects like I'm seeing above. The subjects are not exactly non-controversial. Several of Sorenson's papers, for instance, are arguing for transoceanic contact pre-Columbus. That is becoming less controversial now (largely thanks to him), though not exactly mainstream. But when Sorenson was actively publishing, it was considerably controversial. His arguments for metallugry centuries earlier than AD 900 (the long accepted date) are another controversial subject. And you'd be surprised how controversial chronological particulars can be. Nibley's work on early Christianity--easy for the temple, the 40 day literature--also covers topics quite hotly debated. It is certainly true that frequency in which your work is cited and engaged (even if critiqued) is a stronger indication of respect in the scholarly community. Trying to sift through all the literature to find such citations, however, is far more exhaustive and tedious than what I am going to do for a blog post. And publishing papers is clearly not meaningless in terms of respectability. The research goes through some level of vetting/peer-review (though the degree to which it does varies), and number of publications have long been used as an indicator of prestige for scholars. As for whether it is easy to get published, tell that to any professor struggling to tenure because they have not published enough. Plenty of scholars repeatedly struggle to get published, or even get their presentation proposals excepted at major conferences like AAR/SBL (which Nibley presented at several times).